Chilly days call for cozy blankets and hot cocoa. I fiddled around with this recipe for awhile until I got it to taste the way I wanted it too. Rich, creamy and oh so chocolaty. And the best part about this recipe? I used all natural ingredients, this dreamy drink is actually filled with good things for your body. As a sweet treat every now and then this drink is perfect. I used homemade coconut milk for this recipe, see my recipe here. Tinned coconut milk would work just as well I'm sure. But its so easy to make I prefer to use my own. 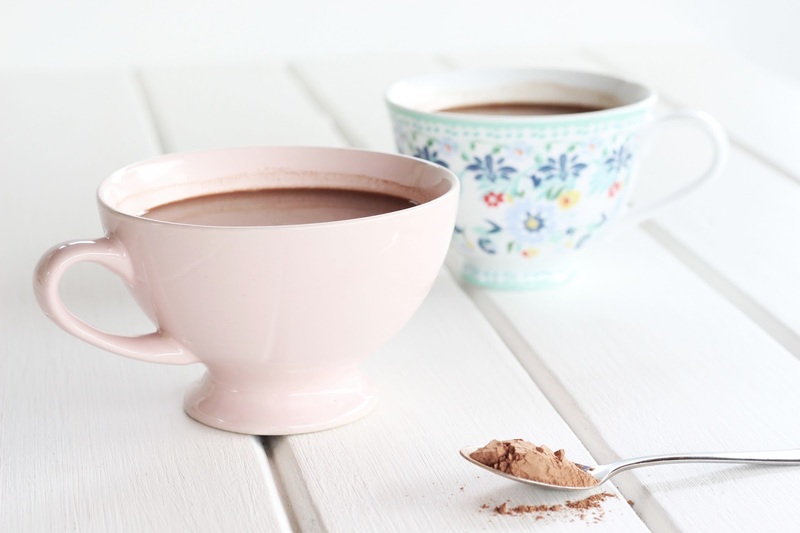 Cocoa powder is actually a superfood. Superfoods are specific foods rich with nutrients that help and are beneficial for health and well-being. 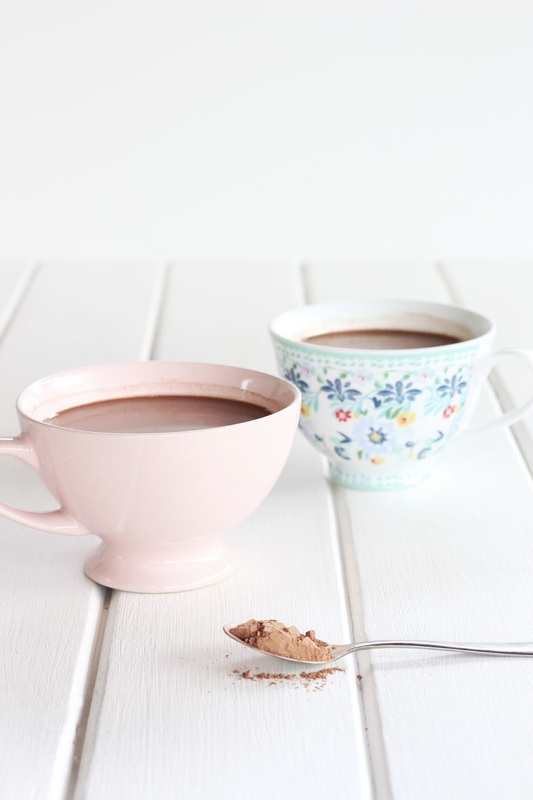 So if your body isn't feeling healthy superfoods like cocoa powder will help boost the immune system. 1. Place all the ingredients into a saucepan over medium heat. Whisk until heated through. 2. Add fresh mint to saucepan and remove from heat just before it starts to boil. Don't take it off the heat to soon otherwise the mint will not properly infuse. 3. Pour into cups. Add a little cold coconut milk if it's too hot. This is one of my favourite drinks. I hope you try it out and let me know your thoughts!